When Burma experienced heavy and prolonged rains, many areas suffered severe floods and the city of Kalaymyo experienced 30% flooding, affecting 400,000 residents of the city. The ministry of agriculture and irrigation said that more than half a million acres of paddy fields were flooded or lost due to landslides. Without their main source of food and income, the people of Chin State are struggling to feed their own families and are feeling hopeless for the coming year. Our work has stretched out into the wider areas of Chin State, where 40 villages were destroyed by landslides as a result of the floods. The people of these villages are now displaced and sheltering in temporary refugee camps. The greatest need of the people in Burma is rice. 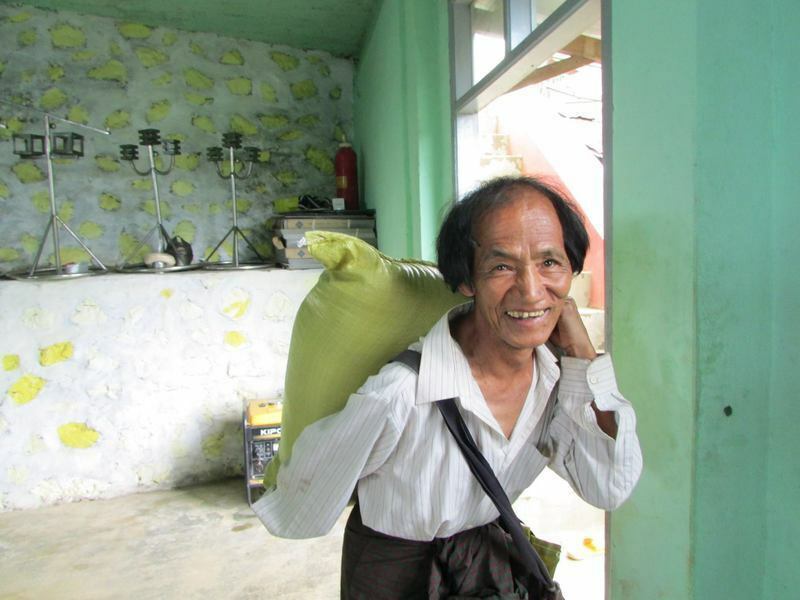 Rice is the main food source in Burma and one family usually eats one bag of rice in a month. Rice is now in desperately short supply and the price has risen significantly. Stand by Me’s team has reached 25 villages and over 6,000 people with essential supplies and distributed over 300 bags of rice. We have also distributed 800 zinc rooves, wood for rebuilding houses, building supplies, clothes, blankets, school supplies, oil, beans, soap, toothbrushes, water pumps and water pipes. We have provided financial help to pay hospital fees for those that were injured or sick. For Dol Luang Village in Tedim we provided 100 pipes to give them access to a water supply, after their pipes were destroyed by a landslide. There are still many people living in refugee camps around Kalaymyo. Life in these camps is hard and families are worried for their future. We are continuing to provide food aid to these families and meet their basic needs. David Spurdle, Stand by Me Executive Director, is in Burma this month assessing the needs and working with our local staff to find how we can help going forward. Stand by Me has two schools in Ethiopia, one situated in Bekoji and the other in Dembi Dollo. We are planning to take an educational team to Ethiopia, leaving around the 19th March 2016 to help the two schools move towards more child-centred teaching approach.